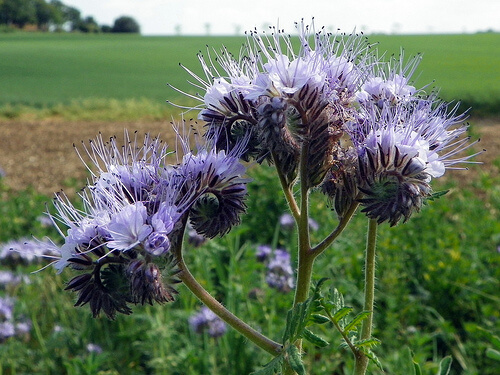 Phacelia is my favourite summer green manure. As the German name ‘Bee’s Friend’ shows it is also one of the best plants for attracting beneficial wildlife. Sowing: From late March to September. Sprinkle the seeds over a finely raked soil. In nature bare soil doesn’t exist. Even after natural disasters such as fires or earthquakes, nature immediately wants to cover itself up again and heal its wounds. The problem with bare soil is that valuable plant nutrients will leach out of the soil and disappear into the groundwater or rivers and lakes and possibly cause pollution. The fact that there are no plant roots which hold the soil together makes it more prone to erosion either through wind or water. Also a bare soil will end up quite lifeless. There is simply no food for the billions of living creatures that normally inhabit a fertile soil. 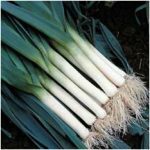 The answer is quite simple: as soon as you have harvested a crop you rake the soil to a fine tilth (obviously you have removed the weeds) and broadcast the green manure seeds onto the bed and rake them in gently. As I mentioned before my favourite one is phacelia. The German name for it is Bienenfreund (Bee’s Friend). Apart from being a green manure it is also a wonderful wildlife plant attracting a whole range of beneficial insects including bees, hoverflies, lacewings and beetles. Just in case you wonder – beetles are great predators of slugs and snails! The definition of a green manure is simply a crop that is grown in a particular bed and incorporated back into it. 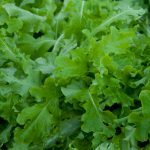 The benefits are various: some green manures belong to the legume family and they all fix atmospheric nitrogen. Others benefit the soil by preventing leaching through their fast growth (eg phacelia) or by having a very deep root system and bringing up nutrients that have already been lost into deeper layers of the soil. 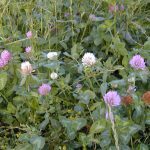 The ideal time to dig in a green manure crop is just before flowering as all the nutrients and goodness of a plant goes into the flowering and seed process. With phacelia I always make an exception though: I always let them flower simply to attract the myriad of living creatures that enjoy the flowers just as much as I do.